Originally, sympathy acknowledgements were handwritten notes of appreciation sent to family, friends and business associates who expressed condolences, sent flowers, made memorials, etc. when someone passed away. Acknowledgements were sent to those whom the family did not know personally and even then, only when there was a large number of acknowledgements to be made. Today, however, acknowledgements are sent to everyone to whom thanks for kindnesses are owed. 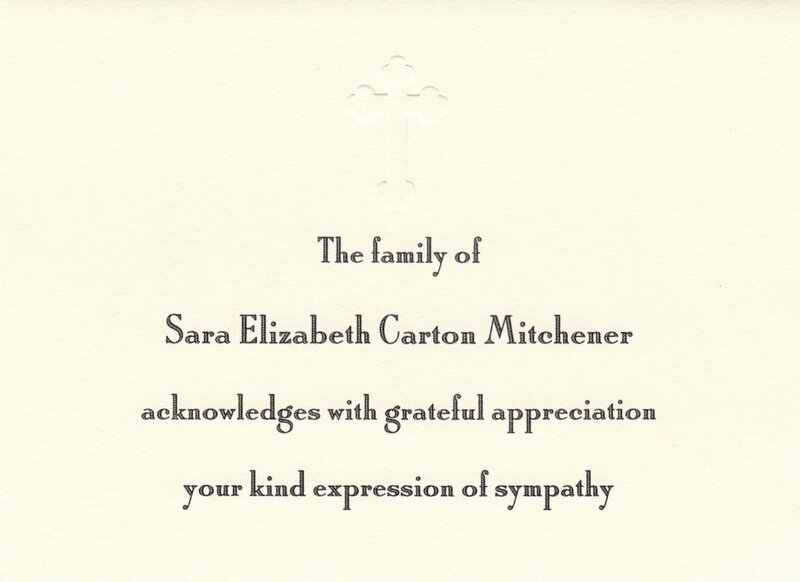 Typically, sympathy acknowledgements are done on plain or panelled white or off-white cards or folded notes, with notes being the more common since they allow room to write a personal message on the inside. The traditional black border (the thickness of which symbolized the closeness of the sender to the deceased) is rarely used today.